Coming soon to a city near you: the Melrose Promenade. The City of Seattle has identified the entire length of Melrose Avenue as the central section of a 3.5-mile long neighborhood greenway that will span from Eastlake on the north through Melrose to First Hill on the south. The Seattle Department of Transportation will be planning in 2015, and implementation is scheduled to be complete by 2017. While this is a major victory for the Melrose Promenade, our advocacy cannot stop yet. The City will carry out significant public engagement in their planning process, and it’s our jobs to make sure that the community-generated, community-support Melrose Promenade plan remains at the forefront of their minds. Stay tuned for when and where the City’s community outreach events will take place, and when they do, please come out and show your support for safe, healthy, and happy streets. 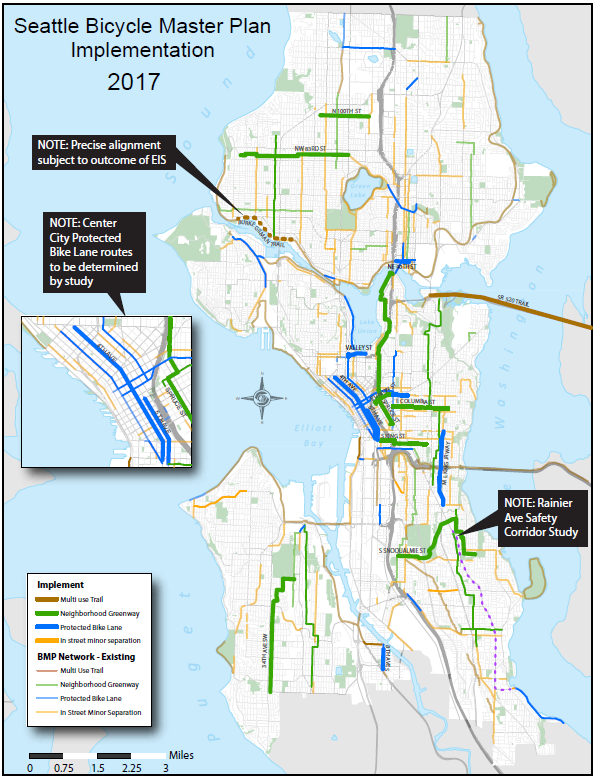 Check out SDOT’s full report here: BMP Implementation Plan 2015-2019.